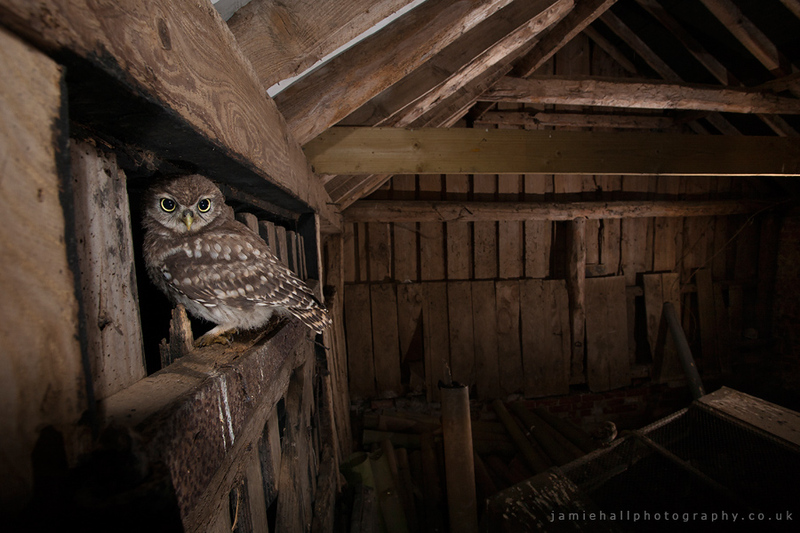 The latest in our series of trap and remote camera wildlife photographer interviews brings us UK based photographer Jamie Hall. Jamie’s extensive field-craft skills have stemmed from a love of nature that developed at a young age, and he uses this knowledge to seek out elusive and shy species in order to capture images. Although only picking up a camera relatively recently in 2010, he quickly began building a portfolio of impressive and unique images, resulting in him taking up the occupation full time at the end of 2012. 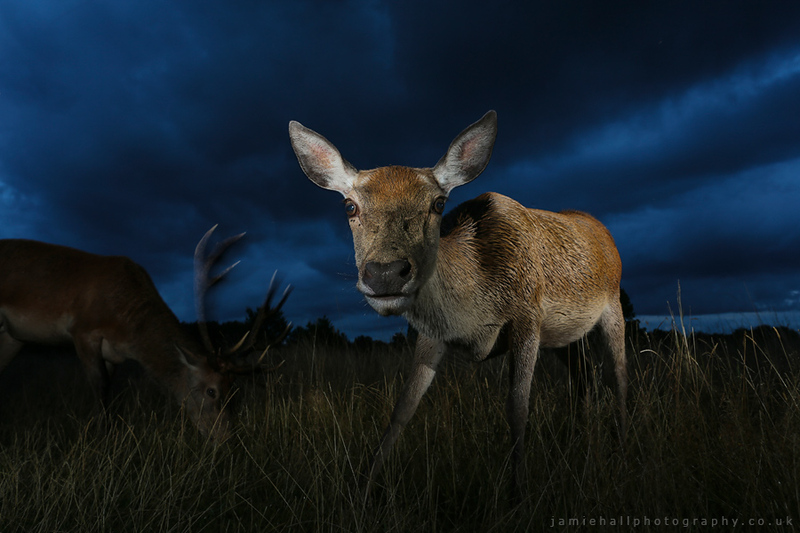 Jamie’s reputation has been built around a more novel approach to photographing familiar UK subjects, and this has gained him numerous awards and recognition including 4 years running in the British Wildlife Photography Awards, BBC Wildlife Magazine Camera Trap competition winner for the last 2 years and recently, being approached by Canon UK to help promote some of their latest equipment for low light photography. 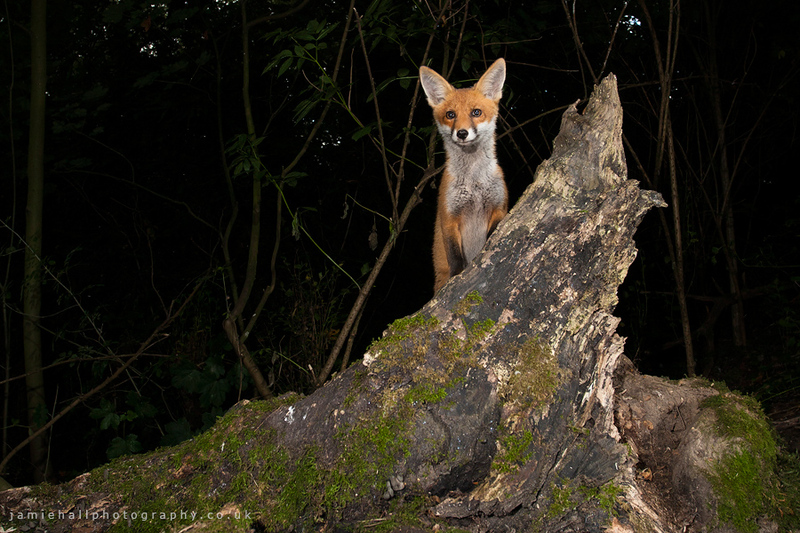 What inspired you to get involved with camera trap work? It was the work of a couple of other photographers, namely Steve Winter with his image of a tiger up to its shoulders in a crevice filled with water and drinking, and that more recently of Charlie Hamilton James and the camera trap work he was producing of the otters on the stream outside of his home. Both photographers were using this technique to produce ‘new’ images of mammals that we are all familiar with, and pushing boundaries and ideas, and in Steve’s case highlighting the plight of a critically endangered creature. You have to remember that the concept of camera trapping with an SLR camera was really only used by research teams studying animal movements and behaviour (sometimes even discovering new species) in foreign countries, so to see these fresh images was a big pull for me. We live on a small, over populated, island where everyone who owns a camera seems to be a photographer now, so it’s very difficult to produce images that are new to the eye. I was also fed up of seeing the same images from the same places, of the same animals, where the photographer just sits behind a 500mm lens and opens fire will all their available frames per second. Granted we all enjoy different aspects of our photography but, for me it’s about being able to do something different to everyone else. What do you specifically find are the advantages of using these techniques? One of the main advantages and probably the most obvious is that you don’t need to be there to take an image. 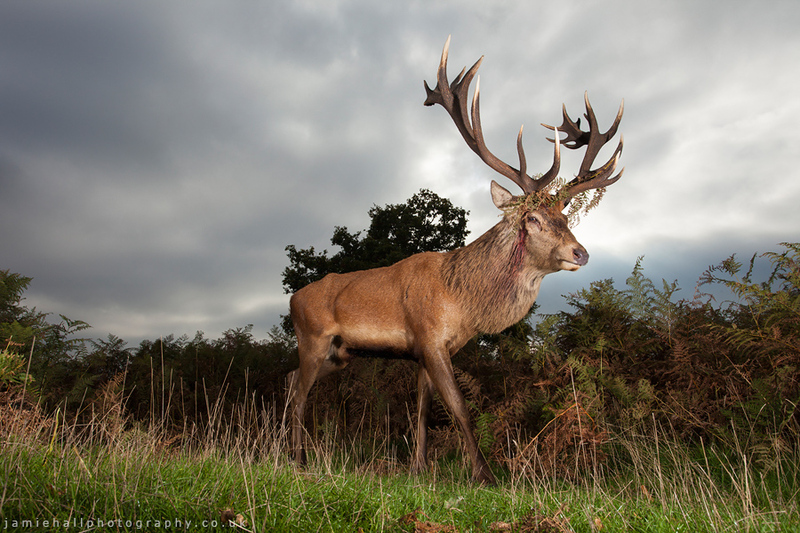 It’s unobtrusive to the subject, which is great as it seems all too often we see animals being hounded by photographers, especially in recent times. Also, it allows you to get images of your subject displaying normal behaviour, non manipulated and going about its daily life the way you would expect. Most of the time the subject won’t even realise there is a camera close by. The only real disadvantage is that of not knowing if your equipment is still going to be in position when you head back to check images or collect your camera. However there are ways of securing your gear, and of course a little common sense as to where you place it always helps. Working with urban foxes in London was mentally a nightmare. I’d set a camera up somewhere but just keep going back to it every hour to check it was still there, even though in your head it seemed a quiet place to hide the trap, I spent too long fighting against my head than letting the trap do its job – there were still far too many people walking around the streets at 3-4am for my liking. 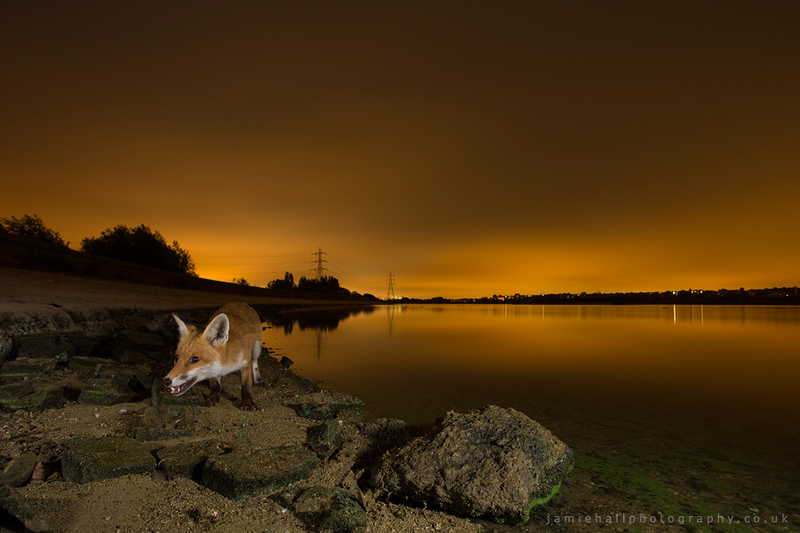 "Working with urban foxes in London was mentally a nightmare. I’d set a camera up somewhere but just keep going back to it every hour to check it was still there"
From a technical perspective on location, what are the greatest challenges you have had to overcome? Foxes picking up the flash units and running off with them before they have even triggered the camera! 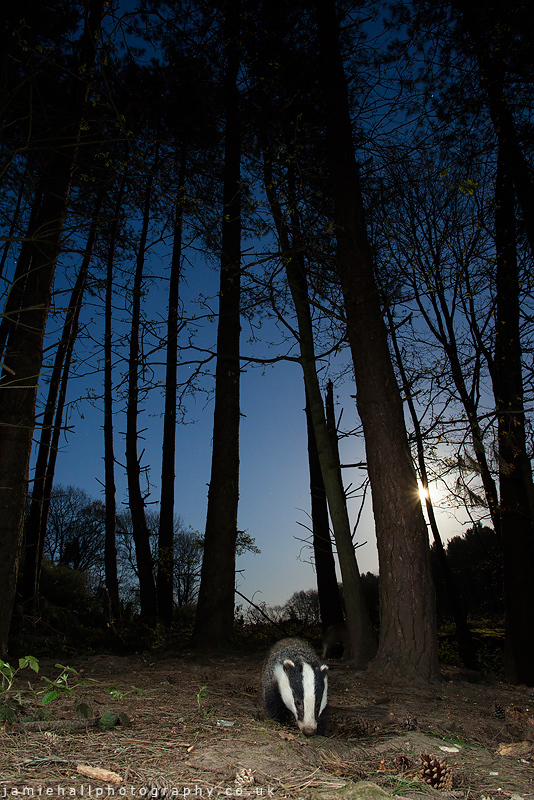 A few times last year one particular vixen would remove the flashes before setting the trigger off, so the final image would be virtually all dark except for a distant shaft of light being given off by one of the flashes about 10 meters away! It took ages for me to figure out why she was doing it, thankfully the problem is solved now. Power was always a big problem, you’d set everything up to leave out for 5-6 days and upon going back to change the memory card you’d realise either the camera, flashes or one of the beam units had switched off due to the batteries being dead. Faulty wiring also can be an issue, mainly due to rain, and condensation can be a big problem too at times. More often than not its dawn or dusk that you expect the camera to be triggered and this is when the temperature change can cause issues with the lens fogging up. The equipment used can get quite specialist, ranging from a simple remote system to complex lighting, trip-beams and flashes. How complex do your setups get or do you find keeping it simple is the best approach? Keep it as simple as you can. More often than not you’re working at close range with wide angle lenses, so that’s a camera and lens on a tripod. Add to that two units for the beams, a couple of flashes if you’re shooting at night or low light, plus all the stands to put them onto, that’s quite a bit of equipment, and you’re then asking a wild animal to walk between those beam units towards a camera which is probably only a couple of feet away… The less equipment you have in the field, the more likely you are to get the shot. What has been your most successful trap-camera project to date and how long did it take from concept to first successful image? That’s a tough one as I’ve constantly bounced from one subject to the next almost on a daily basis at times. I think I will always have a soft spot for the foxes in and around the big cities, but I’ve come to realise that it’s just too far in terms of travel to really put all my effort in to. Now I’m starting to work on subjects that are within a few miles of home, and it’s really pushing me to my limits as unlike the urban foxes in the cities, these mammals won’t tolerate human presence so are much more difficult to get close too. So I guess the answer would have to be the one I’m working on at the moment, which I started last autumn. Currently, I seem to be getting images (of my subject) at a rate of perhaps 1 image every couple of weeks, so it’s really tough going but equally, incredibly satisfying when you see the image on the back of the camera – even more so when it’s as you envisaged. What’s been your biggest failure, either technically or photographically? Where do I start, there have been so many failures… I often put a Bushnell TrailCam out near the cameratrap so I can monitor how things are working and should my camera trap be stolen I have a chance of capturing the culprit. I remember it was raining when I collected the camera one afternoon so didn’t check the back of the camera until I got home. The first thing I did was watched the footage from the Bushnell and saw a whole herd of deer moving through one by one in a long line, which would have looked brilliant as it was dusk with a nice moody sky, so I immediately started going through the images from the SLR only to realise the card was already full when I set the shot up a few days previously, so I’d missed the whole sequence. I used to get lots of images of half a fox or badger, but you soon figure out how to set your composition to avoid it happening too regularly. There are those that consider it ‘cheating’ to not physically press the shutter yourself or even be there when the photo is taken. What would you say to that? I often think the people who say that are put off by the technical aspect of it all. Lets be honest, anyone can sit behind a big lens with a well accustomed subject in front of them and fire shots off all day long to get an image, but when you have to sit back and think about the lighting for day and night and dial it in to your camera and have faith that whether the subject triggers your camera in the middle of the afternoon or in the middle of the night it’s going to be exposed correctly it can be a little daunting. Also consider that the animal you’re trying to photograph is likely to be less stressed by this method than with you sitting in its flight path or in its territory. It takes a lot of forethought to work out where the animal is likely to pass by and create a pleasing image from this. Personally, I think it’s by far the hardest but most rewarding way to photograph wild animals behaving naturally in this country. Where do you see trap and remote photography going in the future? I’m not sure. I can see many more people trying it over the next couple of years, but I think this could be a phase when people realise just how difficult it can be they’ll resort back to wildlife with the big lens. 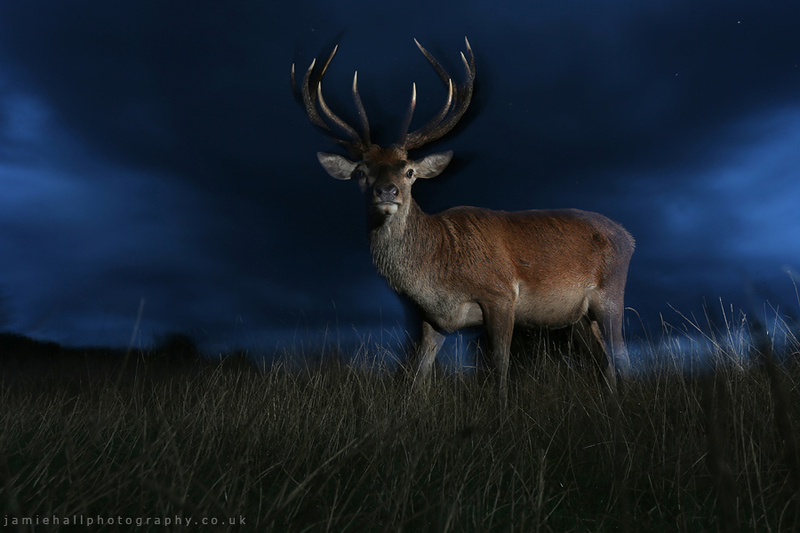 For me, it’s only the beginning of what I would like to do over the next few years in the way of creating unique images of some of the UK’s shier creatures, and being able to show them going about their daily lives and behaving naturally.